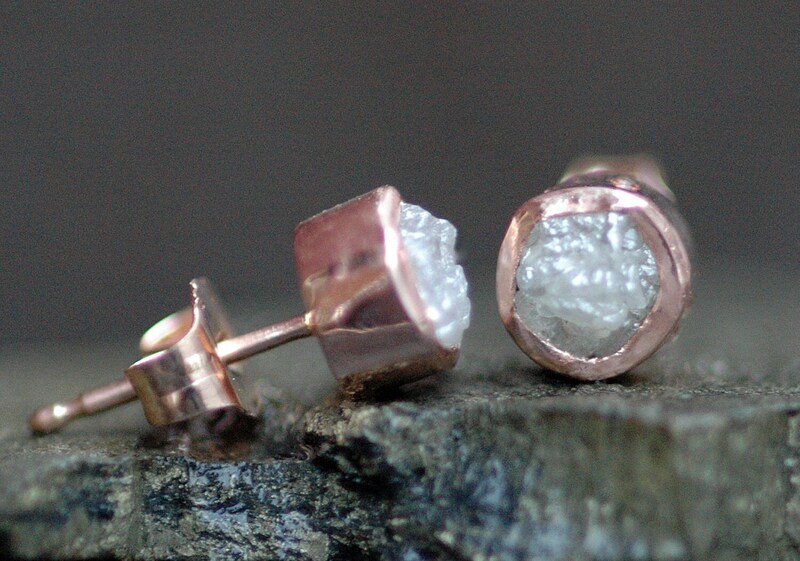 This is a custom, made-to-order piece- my production time on these earrings is listed in my shop announcement: https://www.etsy.com/ca/shop/Specimental?ref=hdr_shop_menu Should you need yours more quickly, rush orders are generally possible- but, please contact me first to check your need-by date. 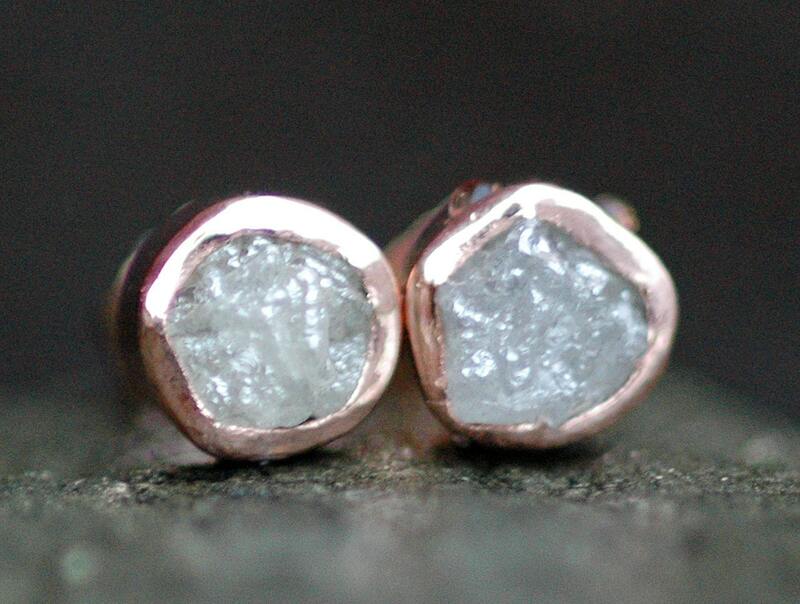 These earrings are built around a well-matched pair of rough diamonds. 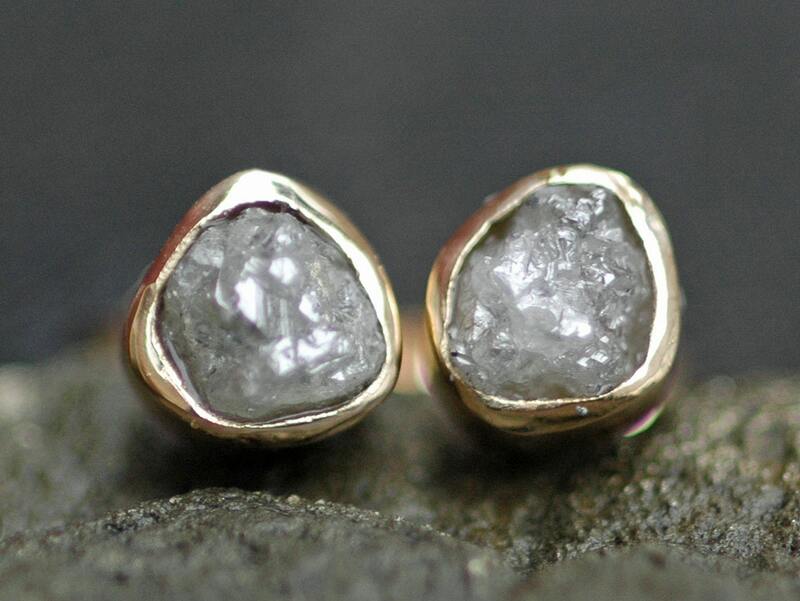 The diamonds are certified conflict free, and are ethically sourced. The gold is certified recycled. 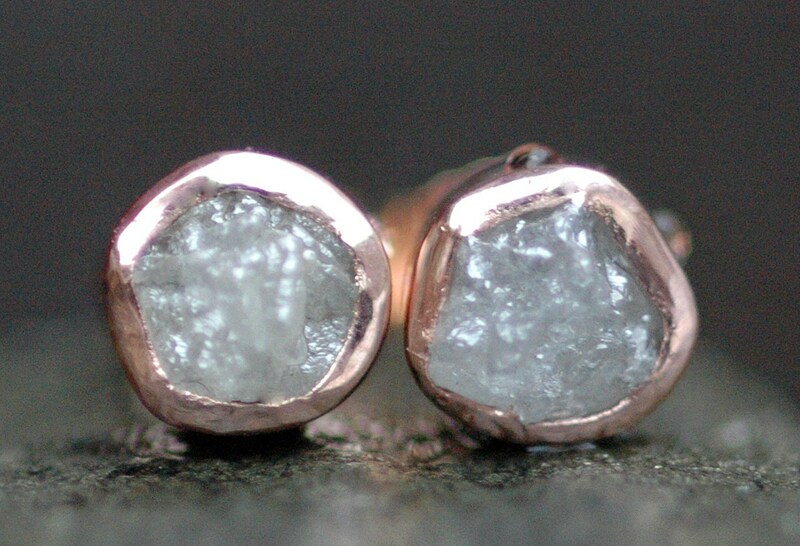 These diamonds are around 5mm in size. They protrude slightly from their bezels, in order to allow the light to play through them properly. 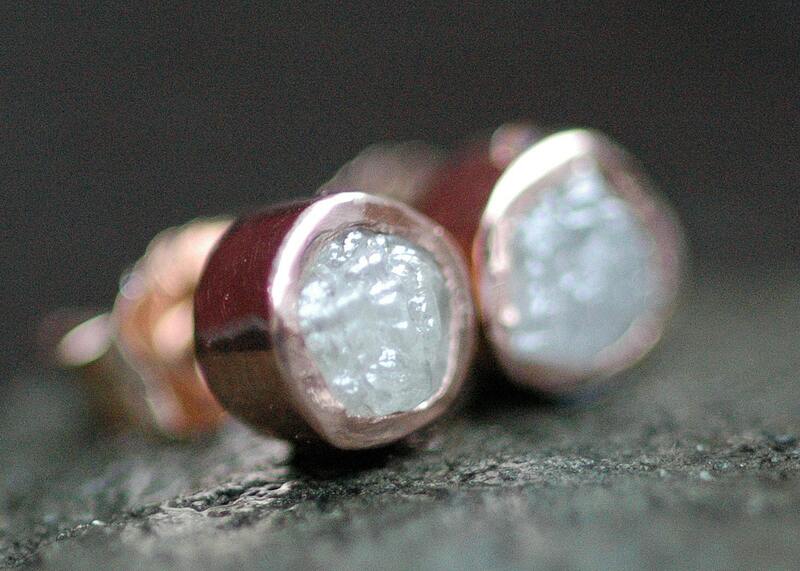 The finish on these earrings is a brushed matte, with a hammered-over, high-shine lip.